With a good nature and true affection for his or her family members, a white German Shepherd makes an ideal family companion. These large and capable dogs are hard workers, and need both mental and physical exercise to stay healthy and happy at home. There’s a reason police departments, the military and people with disabilities rely so heavily on this intelligent and capable breed for assistance. Their intelligence and trainability make them ideal candidates for work of all types; this working drive is present in dogs that are family pets too. A white German shepherd puppy (and dog) in fact needs some form of activity and exercise each day; a training session, a run or even a long walk can help keep them fit and occupied. While white German shepherd dogs are often trained specifically to be guard dogs, their naturally protective nature means that your adult pet will be a watchful, alert and mindful presence in your home. These faithful companions will want to be with you (or a family member) as much as possible, so they’ll be happiest if someone is home with them during the day. German shepherds of all colors make ideal home security systems; only the hardiest of intruders would enter your home and face your alert and aware companion. Although white German shepherds are not as high maintenance as some long-coated breeds, they shed a surprising amount of hair as the seasons change. If you are willing to brush your pet regularly, then this is an ideal breed for you. If you don’t like dealing with shedding or hair, a less furred breed might be a better match. If you can provide mental and physical activities regularly, want a companion that bonds to you and wants to be with you as much as possible and can cope with some excess hair, then a white German shepherd pup is an ideal addition to your home and family. Still have questions? 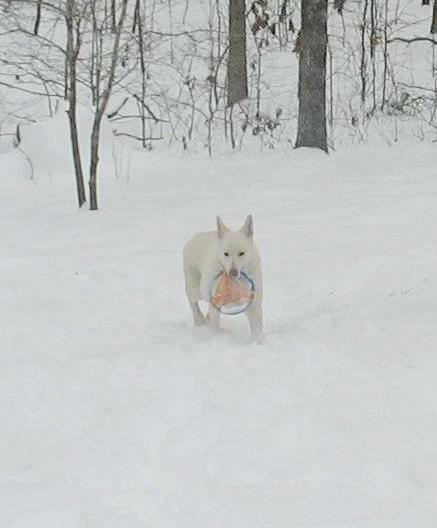 We want to make sure your white German Shepherd puppy fits your lifestyle and needs; don’t hesitate to get in touch.